Intravenous (IV) therapy is the best and fastest way to restore optimum hydration and the nutrients needed to keep you healthy. Dr. Keith, Dr. Chase, and Dr. Humiston at SoCal Regenerative Medical Clinics offer several types of IV therapy that help you maintain optimal wellness, boost your energy, and reach your peak performance. To schedule an IV infusion, call one of the offices in West Covina or Anaheim, California, or use the online booking feature. 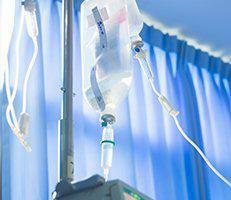 Why should I consider IV therapy? IV therapy delivers nutrients and electrolytes straight into your bloodstream. This means they’re rapidly dispersed throughout your body and you get the full dose — two benefits you don’t get when you take oral supplements. When you swallow a supplement, it takes longer to get into your bloodstream because it has to travel through your digestive system. Even worse, several problems can happen along the digestive path that prevent the full dose from making it into your blood. Low stomach acid, inflammatory bowel disease, and lack of digestive enzymes reduce the absorption of many supplements. Additionally, your small intestine can absorb only a small amount of some nutrients at one time. You can avoid all the potential digestive roadblocks with IV therapy. What health benefits will I gain from IV therapy? With IV therapy, you can give your body a boost of essential antioxidants, help your body detoxify and fight free radicals that cause inflammation and chronic health problems. The detox IV contains amino acids, vitamins, minerals, medical ozone (oxygen), and other vital nutrients. Your doctor may recommend IV detoxification to help treat many health problems, including headaches, insomnia, high blood pressure, poor circulation, depression, and the common cold. This therapeutic infusion contains electrolytes and fluids for patients who can’t get the amount they need by oral or enteral routes such as feeding tubes. This infusion is packed with the power of antioxidants like glutathione that fight against free radicals, making sure these damaging molecules can’t cause inflammation and cellular damage. The ultimate anti-aging IV also contains vitamin C and the B vitamins, which support your metabolism, produce energy, and are essential for repairing old and damaged muscles. Your IV therapy for endurance is a wellness cocktail containing calcium, magnesium, B vitamins, and vitamin C. The endurance infusion can help treat general tiredness, chronic fatigue, seasonal allergies, and migraine headaches. It’s also recommended for athletes who want to improve their endurance and performance. Virtually everyone can improve their overall health with the customized IV treatments at SoCal Regenerative Medical Clinics. Call or use the online booking feature to schedule your IV therapy.